Angel’s Touch is a natural source of humic acid and natural plant bio-stimulants from the sea that trigger responses such as stress resistance, better root development, improved absorption of essential micro-nutrients, lower seedling mortality, improved cloning, greater trichome production, and aid cannabis in the production of essential enzymes. It’s a water soluble powder (WSP). 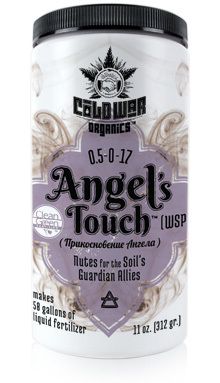 Angel’s Touch is available in 11 oz. and 3 lb. containers. Mix only the amount you need – Microorganisms are everywhere and, given an ample supply of natural nutes and water, they will multiply and sometimes create objectionable odors. This product is stable as a dry powder but, once water is added, it can become biologically active. Mix only what you’ll need for the immediate application. If you’re using an irrigation system, rinse with clear water after use. Here is a 1 minute video on how to quickly and easily mix Angel’s Touch. 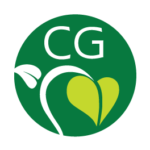 Dose – This product is designed to stimulate the population growth of beneficial soil and leaf surface organisms. We recommend mixing two level teaspoons of the powder/gallon (dissolved in a small amount of warm water first). Weekly applications are recommended from seed (or clone) to harvest. See our Application Chart for precise timing.